aucoma is a primary cause of vision loss and blindness in the US, affecting around 2.7 million people – a number that is expected to reach 4.2 million by 2030. While severe glaucoma-related vision loss can often be prevented, there is one major barrier: around half of patients with the disease do not know they have it. 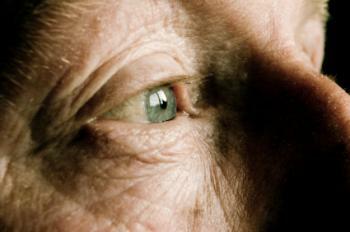 Glaucoma can take away as much as 40% of a person’s sight without them realizing. Glaucoma is a group of conditions that cause damage to the eye’s optic nerve – a cluster of more than a million nerve fibers. The optic nerve links the retina – the light-sensitive layer at the back of the eye – to the brain; any damage to the optic nerve can lead to vision loss and blindness. Glaucoma is often referred to as the “sneak thief of sight” – because it rarely presents symptoms; it can take away as much as 40% of a person’s vision without them noticing, and once this vision has gone, it cannot be restored. Glaucoma can occur in one or both eyes, and there are two main types – open-angle glaucoma – the most common form, accounting for around 90% of all cases – and angle-closure glaucoma. It develops when a clear fluid called the aqueous humor leaves the eye’s anterior chamber too slowly through the drainage canals, resulting in a fluid build-up. This build-up increases eye pressure, causing damage to the optic nerve that can lead to vision loss. Vision loss from open-angle glaucoma normally begins with peripheral vision – vision outside the central area of focus – before affecting central vision. Other less common forms of glaucoma include normal-tension glaucoma, in which optic nerve damage occurs despite normal eye pressure, and congenital glaucoma – a rare condition in babies, in which the eye’s drainage canals fail to develop or develop abnormally. While these symptoms may not necessarily be related to glaucoma, the presence of at least one warrants a visit to an eye doctor – an optometrist or ophthalmologist – for an eye examination as soon as possible. On the next page, we look at the importance of regular eye screening, the treatment options for glaucoma, and we investigate what is discouraging people from routine eye exams.